Having completed a private infant adoption with our son Logan in 2012, in 2013 we began our adventure into foster care. We were set to begin our STARS training (for foster parents) in June of 2013. But one Friday afternoon in May we received a life changing phone call and by 5pm that evening our family of 3 became a family of 5. 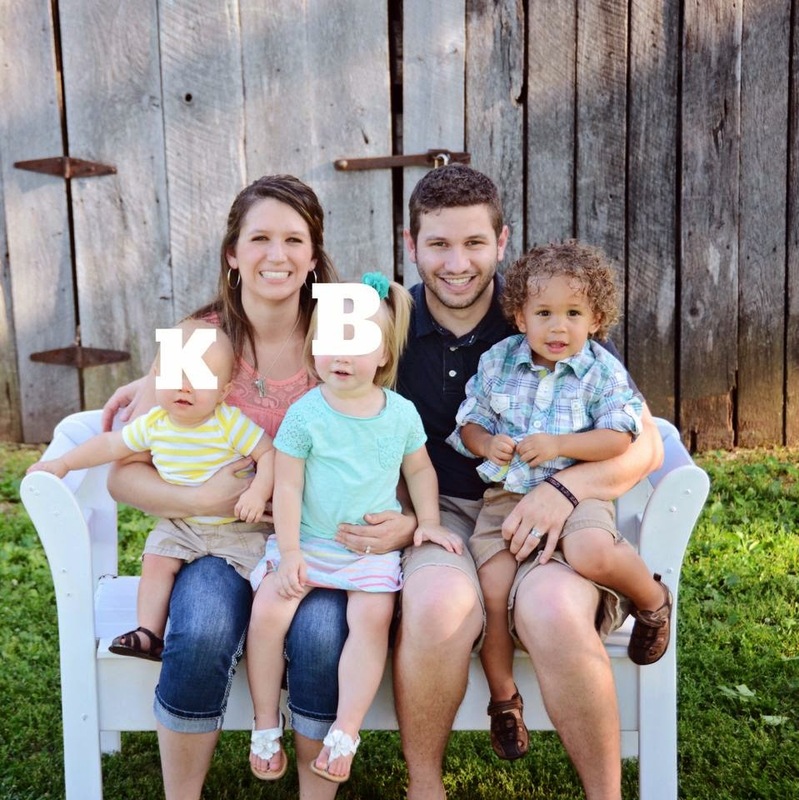 Miss B (2) and Mr. K (17.5 mo) have been in our care as a kinship placement for almost 18 months. They came into care due to failure to thrive and neglect. This is Miss B's second time in care. We brought Mr. K home from the hospital as a premie weighing 4.5lbs. We initially thought this was a short term placement... But as the months ticked by and court dates came and went, we realized this was for the long-haul and began to realize that the process is a long one. Too long. First, I should say that I am thankful for a system that seeks to preserve families and give second chances. I do think that a percentage of biological parents receive the help and the resources from a place of brokenness, and the chance of losing their children is a wake up call. A large factor in the difficulty and lengthy time in finding permanency for children in care is that the team (made up of attorneys, juvenile officers, therapists, parent aides, and case workers) is constantly changing. In our kids' case, we have had 3 different parent aides, 2 different juvenile officers and 5 (FIVE!!!) different case workers. In less than 18 months. This is largely due to the high turnover of these positions that are extremely overworked, difficult, draining, time consuming, and low-paying. Truly, we feel those on our team desire to seek the best for Miss B and Mr. K; however, every time there is a turnover, things come to a halt and then we have to take a few steps back and essentially restart with a new plan. Unfortunately, due to the high number of children in foster care and the limited number of resources and foster homes for these children to go to, the standards for biological parents to regain custody of their children are bare minimum. Many biological parents can tread water in their case plan just enough to keep the case on hold while the team tries to figure how to proceed. Meanwhile, the precious children in care are experiencing stability and consistency for perhaps the first time, as well as forming strong bonds and hopefully a healthy and loving parent/child relationship with a foster family. Most foster families understand that the goal of foster care is to reunite children with a fit and willing parent. It is also part of our job to support and encourage this initial goal. And we did. And we do. HOWEVER... in the best interest of vulnerable children, time is of the essence. States vary in their laws regarding a timeline for termination of parental rights. In Missouri, law states that a child shall not remain in care of the state for more than 15 of 22 months. This law recognizes that beyond that time frame, more damage will be done by allowing the children to remain in limbo with no permanency. Unfortunately, there are many loopholes regarding these laws and often they are completely disregarded by the courts because they are not strongly enforced in a worn-out, overwhelmed, outdated, and understaffed system. Back to our kids... They have been in our care for nearly 18 months of a 22 month period. As two- and one-year-olds, our home and family are all they know and remember. But there is no permanency in sight, be that with us or with a fit/willing bio parent. It is extremely important to say that for us personally, ultimately our trust is not in laws or failed systems... regardless of the outcome in our family's situation and the kids' case, we trust fully in the Lord and His plan and purpose in our lives and in the lives of these precious children. We cannot rely on our own understanding (Prov. 3:5). We recognize that His ways are higher than our ways (Isaiah 55:9) and that He directs our steps (Prov. 16:9) and His purpose prevails (Prov. 19:21). We also feel called to advocate as foster parents and as Christians that we do need to care for the vulnerable and needy (Psalm 82:3-4). That we need to love and care for the orphan and widow (James 1:27). That we need to act justly, love mercy, and walk humbly with our God (Micah 6:8). Please prayerfully consider how The Lord may be asking you to step up. 2) Become a CASA worker to advocate for kids in foster care. Thank you, Megan, for sharing part of your story and your heart. I have watched as Megan attends court hearing after court hearing in order for the team to come to a conclusion about these children. She is steadfast in her faith and trusts that God has a sovereign plan, but I don't think she would disagree if I told you that it is extremely taxing and emotionally draining to wait, not knowing what the future holds for these precious children she loves as her own. If it were easy, everyone would be foster parents. However, everyone is NOT doing it. In fact, very few people are providing hands-on help for foster children. Please consider how you may help this situation. May I suggest a great, small first step? Sign the above petition (which seeks to relieve some of the unnecessary waiting time and instability) or become a trained respite provider to give foster parents a much-needed break they may not otherwise be able to take. I'll be back tomorrow with an update on our DRC adoption.